Description LT trim. 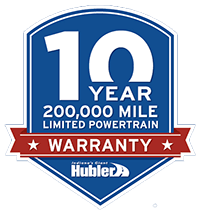 CARFAX 1-Owner, Hubler Q Certified, ONLY 11,678 Miles! REDUCED FROM $16,800!, $1,500 below NADA Retail!, EPA 40 MPG Hwy/29 MPG City! Satellite Radio, Back-Up Camera, WiFi Hotspot, iPod/MP3 Input, Turbo Charged Engine. AND MORE! TRANSMISSION, 6-SPEED AUTOMATIC (STD), ENGINE, 1.4L TURBO DOHC 4-CYLINDER DI with Continuous Variable Valve Timing (CVVT) (153 hp [114.08 kW] @ 5600 rpm, 177 lb-ft of torque [239 N-m] @ 2000-4000 rpm) (STD), AUDIO SYSTEM, CHEVROLET MYLINK RADIO WITH 7" DIAGONAL COLOR TOUCH-SCREEN AM/FM stereo with seek-and-scan and digital clock, includes Bluetooth streaming audio for music and select phones; featuring Android Auto and Apple CarPlay capability for compatible phone (STD). Chevrolet LT with SUMMIT WHITE exterior and DK ATMOSPHERE/MED ATMOSPHERE interior features a 4 Cylinder Engine with 153 HP at 5600 RPM*. Edmunds.com explains "The Cruze has a nice, firm brake pedal feel Great Gas Mileage: 40 MPG Hwy. Was $16,800. This Cruze is priced $1,500 below NADA Retail.